25/06/16, Krzerzowice (POL) - Theresa Baeuml (Beta) and Jack Peace (Gas Gas) won! 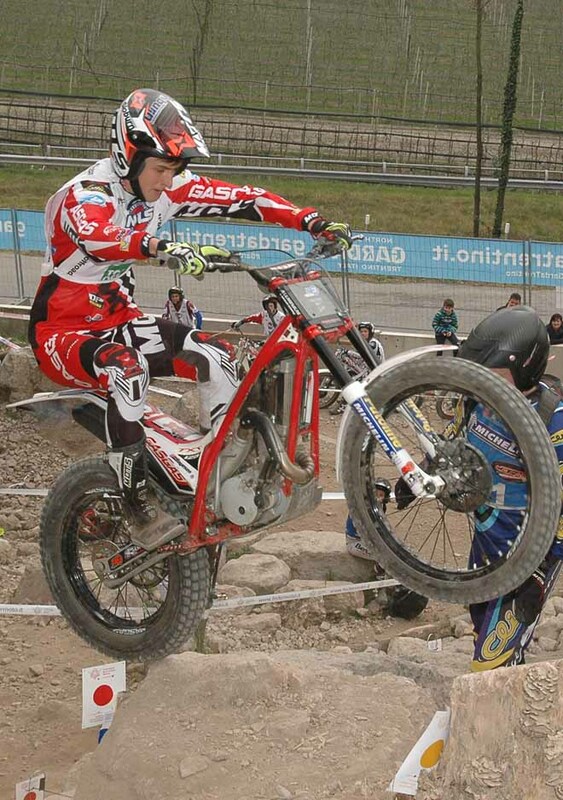 German rider Theresa Baeuml (Beta) and Brit Jack Peace (Gas Gas) topped the rostrums in the 2nd round of the FIM Europe Youth and Women Trial championship held in Miekinia, 4 kilometres from Krzerzowice, in Poland. Having rained early in the morning all the 12 sections were found quite tricky by all the riders in the first of the two loops the competition consisted of. Not only riders for European championships populated this event. Another national competition was scheduled together with the Continental event in order to give the local riders the chance to ride aside of more blazoned pilots. The loop was quite short, about 3 kilometres and all the sections were easily reachable by spectators. In the Women class Theresa Baeuml gained a significant lead at once: her score of 14 marks at half competition against the 37 points made by Sara Trentini (Beta), in second place, allowed her to ride fully relaxed in the second loop. Nevertheless all the sections became easier due to dry terrain, the German rider scored just one mark less. Sara Trentini improved her score, losing only 22 points and confirmed the best runner-up. Third position for Ingveig Hakonsen from Norway. Great battle in the Youth class. For the whole first loop Jack Peace had to fight for the leadership with Italian Lorenzo Gandola (Scorpa), previous leader in the championship. Peace scored 22 and Gandola 28 points. With other 6 six points more French Kieran Touly (Sherco) gained the third position. On dried sections the scores dropped dramatically. Once again the best was Peace (8) ahead of Gandola (12) and of French Kieran Touly (14). In International Women class, the winner was British Alicia Robinson (Beta), while in International Youth class the win went to Belgian Alex Crosset (Gas Gas). Tomorrow the third round will be held in the same venue. .